In today’s digital age, music fans are able to hear entire albums before their official release date, and Keith Urban made sure he delivered to the entire world as he streamed a live performance of his seventh album, Fuse. The event was part of Yahoo! Music’s Ram Country and took place on 6th September in the heart of downtown Nashville. LA based lighting designer Victor Fable worked with Bandit Lites to deliver a functioning, flexible design for both those streaming the concert and those attending the show. 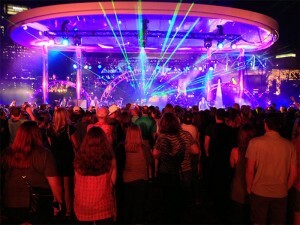 Additionally, Fable wanted to give the appearance of a full tour production concert. 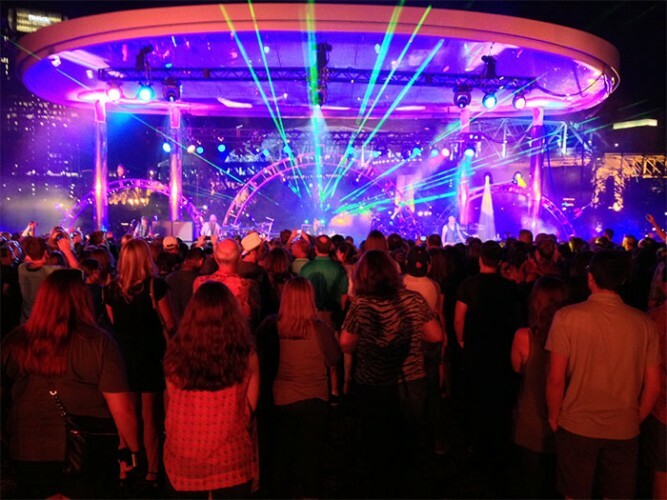 Using the truss and lighting as the scenic elements, Fable utilised the curves of the outdoor stage at Cumberland Park, taking advantage of the beautiful Music City skyline. Half circle trusses made up three arches: one upstage centre and two upstage right and left, while the overhead lighting was a simple up, mid and downstage design which provided a nice blended look with the surroundings for both the audience and the cameras. Equipment for the event included Robe Pointes, Robe 1200 LED spots, MAC 2kW Washes, Robe 600 LED Washes, Robe 100 LED Washes, Color Kinetics iWhite Blast, Comar Pars, GRN Moving Washes, VL 2500 Spots, Lycian M2 Spots and two grandMA 1 consoles. Although Fable has been a part of the lighting industry since the mid-80s, this event was his first time to directly work with Bandit, and he found himself blown away by the level of skill and dedication that the Bandit team brought to the show.